A review of The Essential Writings of B.R. Ambedkar edited by Valerian Rodrigues; (New Delhi: Oxford University Press); November 2002; pp. 576. Upendra Baxi wrote a short piece titled 'Collective Conspiracy to Hush Up Babasaheb's Burning Thoughts' in Dalit Voice in 1992. 'Collective Conspiracy' is indeed the appropriate phrase to describe the suppression of Ambedkar's thoughts in the Indian academia and the public sphere. How else does one explain the fact that Ambedkar's writings were not available for the larger public to read and comment upon till recently? Dalits in Maharastra had to wage a battle to get Ambedkar's writings published by the Government of Maharashtra. The 16 volumes of Ambedkar's writings and speeches came to light in the late 1980s and 1990s. The stature of Ambedkar has grown with the emergence of the independent Dalit movement in the country in the 1980s and 1990s. Ambedkar and his work have emerged as an important symbol of the Dalit movement and become difficult to ignore in recent years. The present volume of Ambedkar's selected writings is the first of its kind on Ambedkar. One does not know whether to appreciate or criticize the attempt of publishing houses like the Oxford University Press for publishing Ambedkar as late as 2002. The present volume presents the essential writings of Ambedkar in 550 odd pages. The volume has an introduction and an exhaustive bibliography and explanatory notes in the end. One must appreciate Valerian Rodrigues, the editor, for the detailed endnotes and an updated select bibliography on Ambedkar. A brief thematic guide to Babasaheb Ambedkar's writings and speeches comes as ready reference to Ambedkar on various topics. The editor abandons the chronological sequence of Ambedkar's writings. He presents a selection of short texts around the seminal themes of Ambedkar's writings - caste, untouchability, identity, religion, economics, nationalism, constitutionalism and law. The best of Ambedkar's texts such as 'Annihilation of Caste,' 'Castes in India,' 'The Hindu Code Bill' and 'Buddha or Karl Marx' are included in this volume. The volume offers the variety of subject matter of Ambedkar's writings, which cut across disciplines such as history, economics, anthropology, and politics. Rodrigues presents the context and the significance of Ambedkar in his long introduction. He suggests that Ambedkar represents a distinct intervention in the 1920s in the anti-colonial struggle. 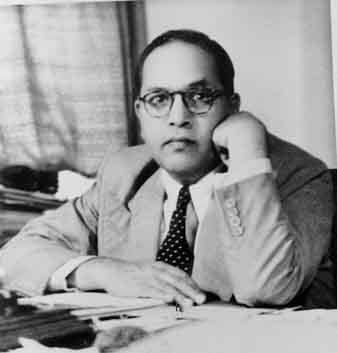 According to Rodrigues, Ambedkar believed that the movement of the Untouchables was an integral part of the universal movement for freedom, equality and fraternity. Rodrigues analyses Ambedkar's formulation of state socialism, constitutional democracy and Buddhism to delineate Ambedkar's vision of a just and emancipatory order. He narrates a brief intellectual biography of Ambedkar (his educational achievements, details of his writings, the formation of several organisations, positions held in the colonial and the Indian government, journals edited, and so on) to introduce Ambedkar in several roles. He highlights that Ambedkar defined a critical role for a developmental state, argued for the transformation of the Hindu social order and casteless society, advocated state socialism and a dialogue between Marxism and Buddhism. Rodrigues convincingly establishes Ambedkar as a scholar and a thinker in his introduction. This volume is a good introduction to the scholar and the activist who would like to quickly know the essential ideas of Ambedkar. While recommending this volume, I wish to point out that the body of Ambedkar's writings throw up a new perspective to study Indian society - its history, economy, culture, philosophy and so on. The introduction fails to focus on the new perspective in Ambedkar's theory of caste and Brahminism. The editor claims that both Ambedkar and Gandhi share 'a number of concerns in common' even after 1933. Ambedkar rejected Gandhism - 'the doom of the Untouchables' - and formulated an alternative vision of a just society. Scholars have to unlearn the art of elevating Ambedkar by equating him with Gandhi. Ambedkar is a distinct scholar and leader in his own way.